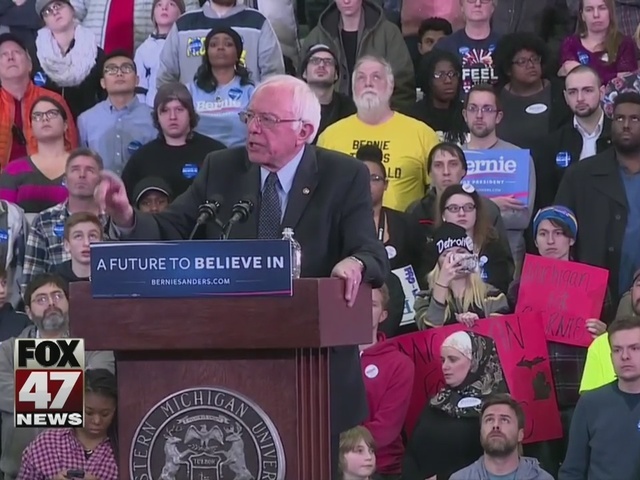 Democratic presidential candidate Bernie Sanders sounds off on Flint's water crisis Monday at a rally at Eastern Michigan University. Sanders met privately with a small group of families impacted by the crisis-- before addressing the audience. He says he did not know how ugly and horrible things really were. 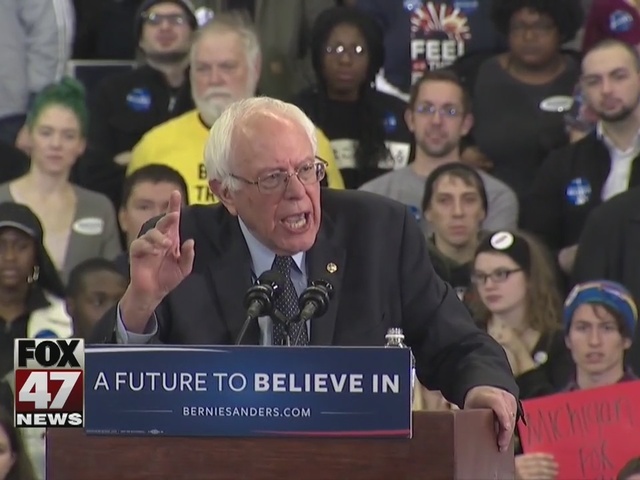 Sanders also said if the state and local governments can't protect Flint's children then the federal government better step in. Presidential candidate Bernie Sanders said, "It is beyond my comprehension that in the year 2016, in the United States of America we are poisoning our children." Sanders also spoke about paid maternity leave, income inequality, and marijuana legalization during his speech.